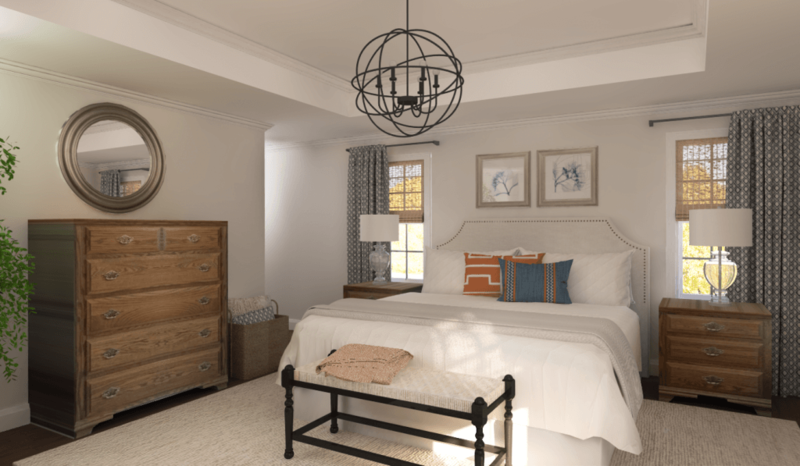 A blank canvas seems like the perfect way for new master bedroom ideas to come to life. Yet, the countless options can be overwhelming. What colors to go with? Where is the best place for the dresser? What’s the design style? 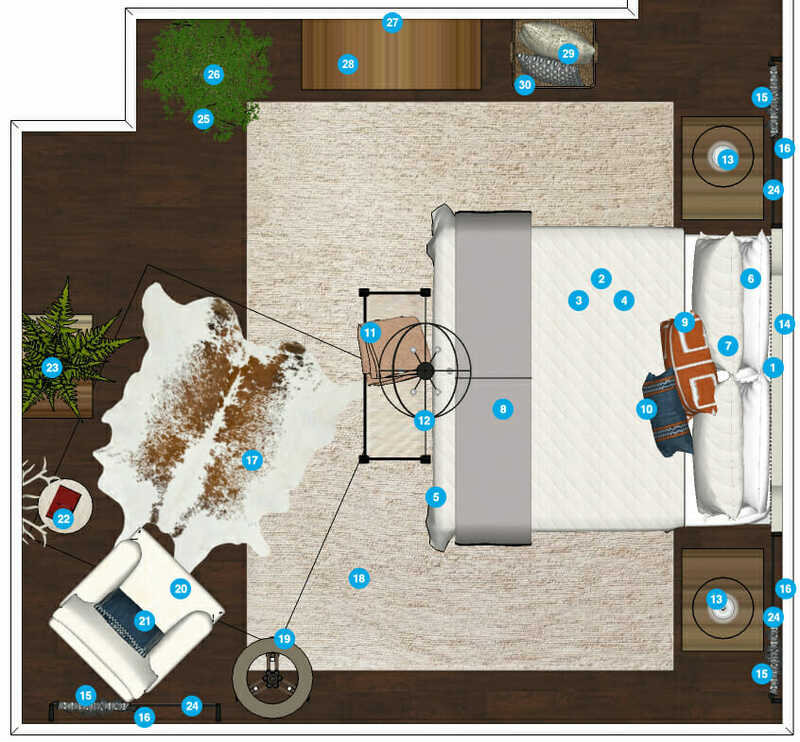 A recent New York client had these questions plus more and wanted the guidance of Decorilla online interior designers. 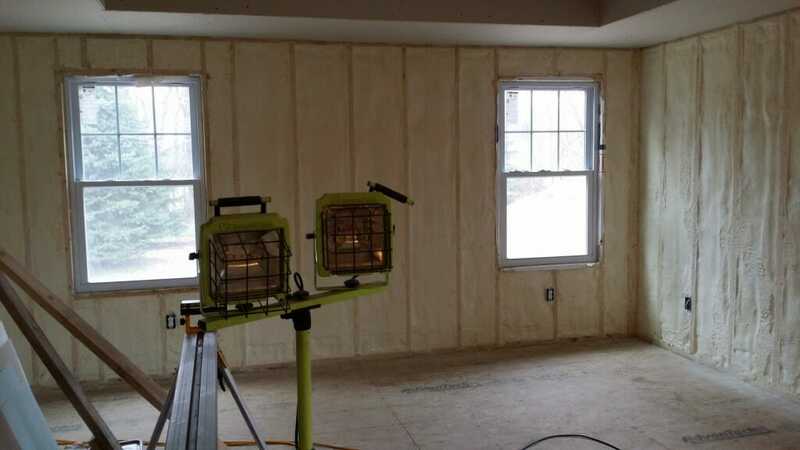 Check out this incredible before & after project for the results. How do people sharing a space marry their individual style preferences? 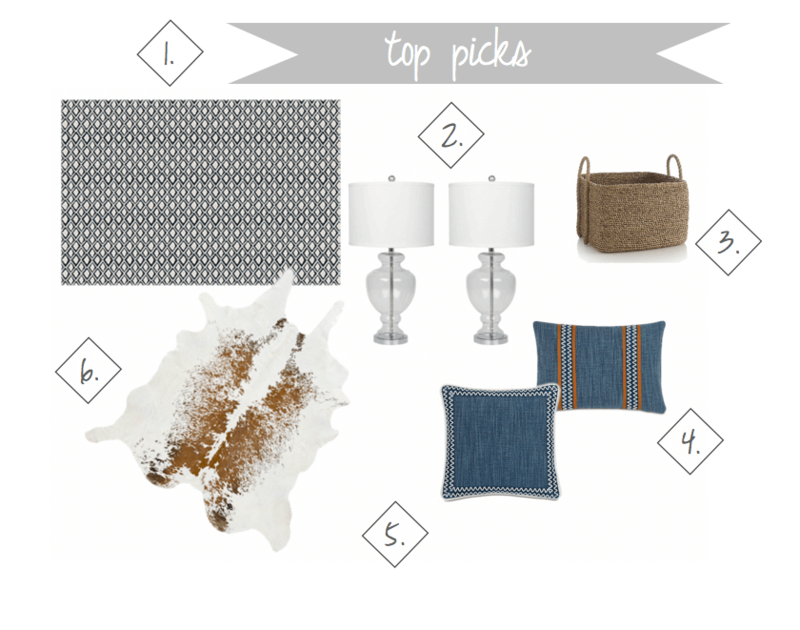 One of Decorilla’s top online interior designers, Eleni P., started with the inspiration. 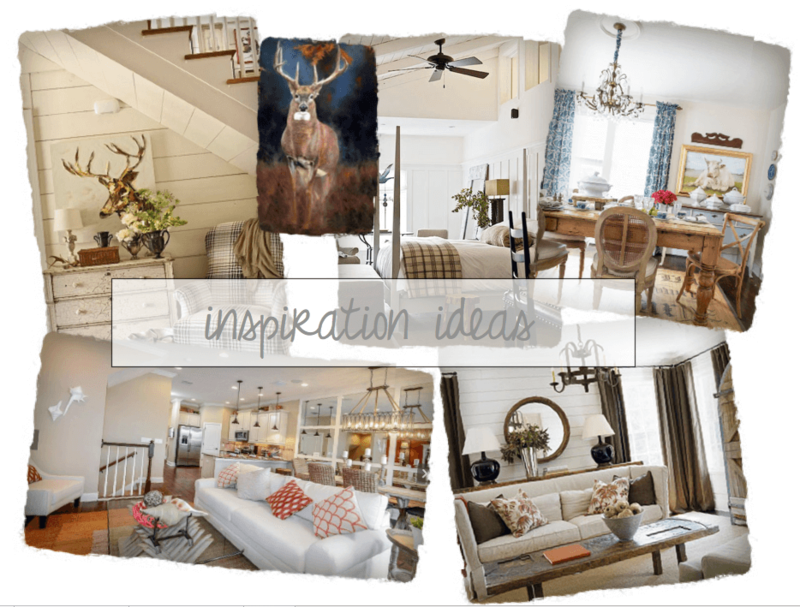 By studying the client’s inspiration images and answers to design choices, she had a great sense of where to begin. Eleni wanted to incorporate nature/animal motifs and have touches of soft finishes to create a space appreciated by the couple. In addition, she knew to include an accent chair, small table and lamp for reading. Even in a blank slate design situation, there is often a piece of existing furniture or decor that wants to be incorporated. Here, it was a chest of drawers, night tables, and a small bench. 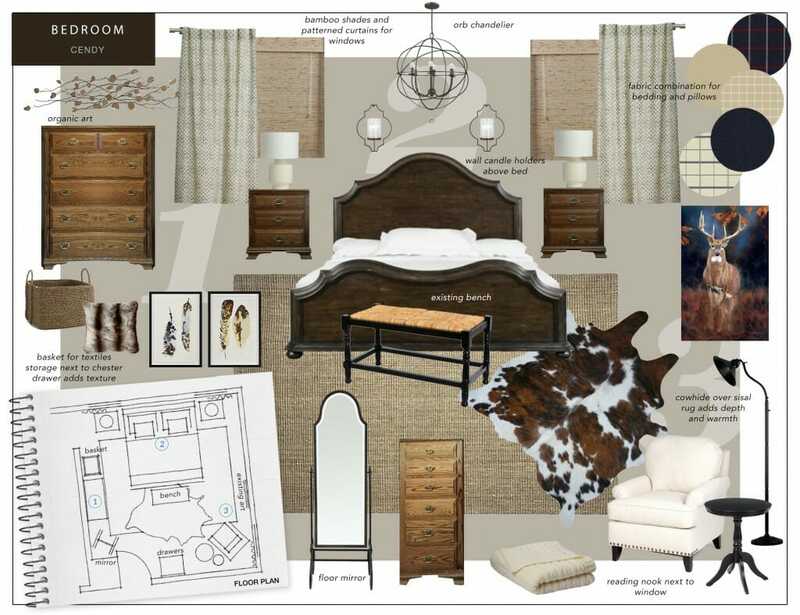 Eleni’s first moodboard created a warm sophisticated country style, with chic details and cozy finishes. With an appreciation for the fur accents and orb pendant, the clients gave feedback on changing the bedding, and were hoping for some pops of color. The modifications resulted in a fine tuned concept board that aligned more with the clients’ needs. 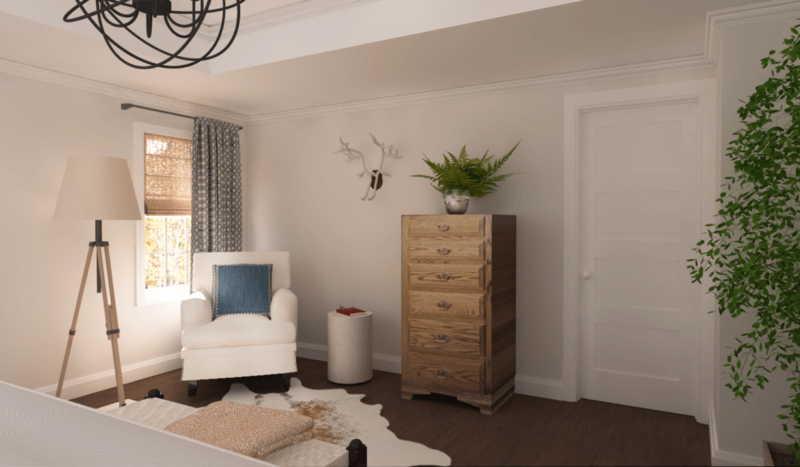 With a polished concept, Eleni created photorealistic 3D renderings that assisted her clients to fully visualize their dream room. 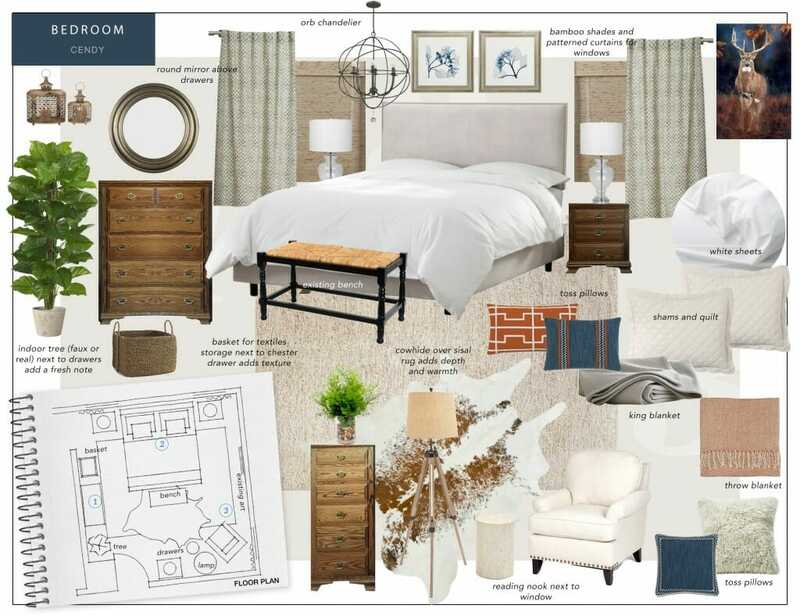 She then followed up with a floor plan, paint colors and shopping list to help get the project come to life. The best kind of response ever. 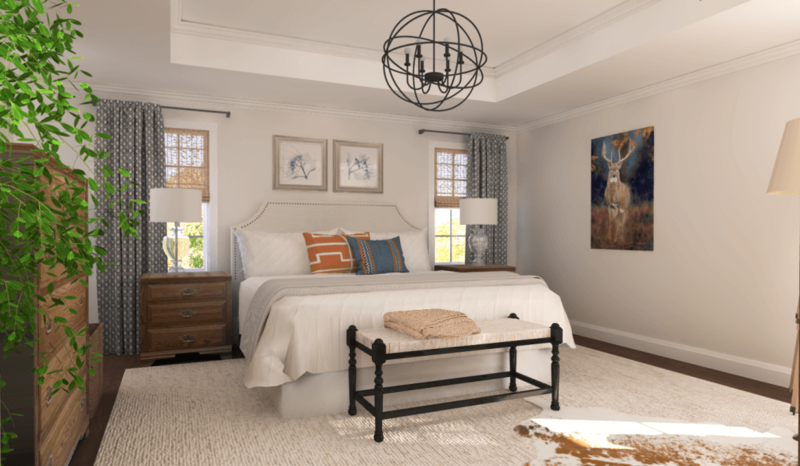 Some of her favorite new master bedroom ideas included: a lighter shade of rug layered with a cow hide, a metallic accent round mirror and designer indigo pillows. These made enough of a difference to balance out the design in an appealing way. For more another amazing transformation, check out this eclectic mod family room. Written by Decorilla designer, Christine Martin.